Relay for Life 2013 | ! *PurpleMoon Creations* ! To me the holidays have always been the time to give back and be thankful. One of the things I like to do every year is to support Relay for Life. Just because is a cause that affects all of us and I truly believe on keep fighting to find a cure. Until that happens we give whatever little bit we can to help that dream come true. 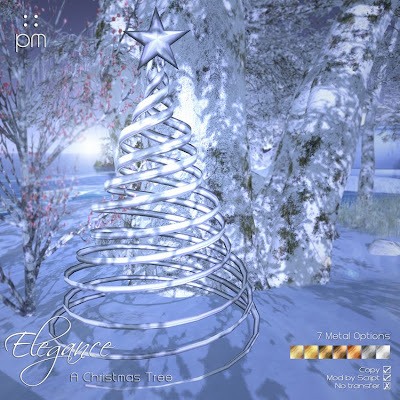 PurpleMoon is proudly sponsor of one of the sims at the RFL Xmas Expo 2013. I would like to invite you to stop by our shop there where you will find four exclusive gowns that will never be sold again after the event (L$400 each) and 100% of the sales goes to Relay for Life. I even made a Christmas Tree myself that it's also on sale for L$99 and it also goes to RFL. Please explore the sims, there are many activities, gifts, hunts and many, many ways of helping. Thank you in advance for every single linden you spend there, it takes all of us a little bit closer to find a cure.